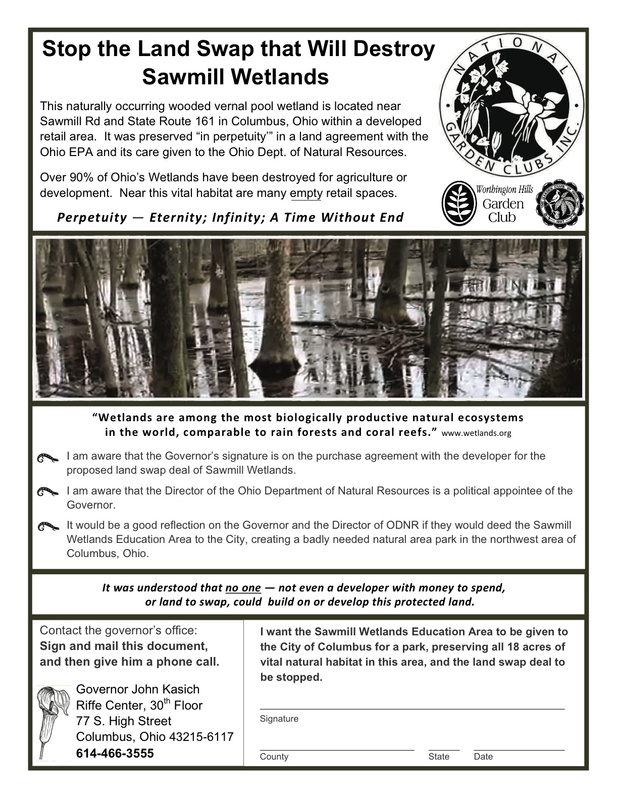 Please circulate this petition in support of the Sawmill Wetlands. The time is now to put pressure on the Governor to end this horrible land swap. 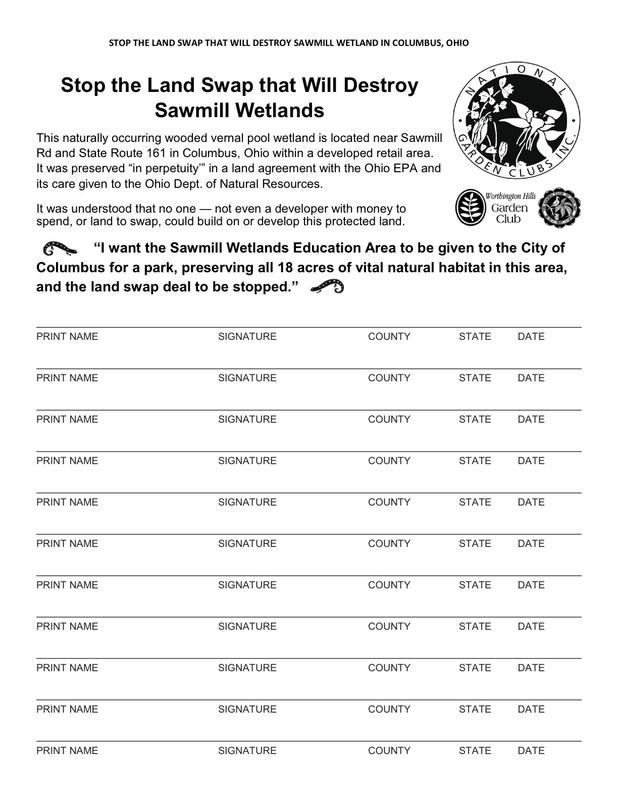 We need as many signatures as possible to end the land swap that will destroy the Sawmill Wetlands. You can print out copies of this form by clicking on the link below the form. Every signature helps. 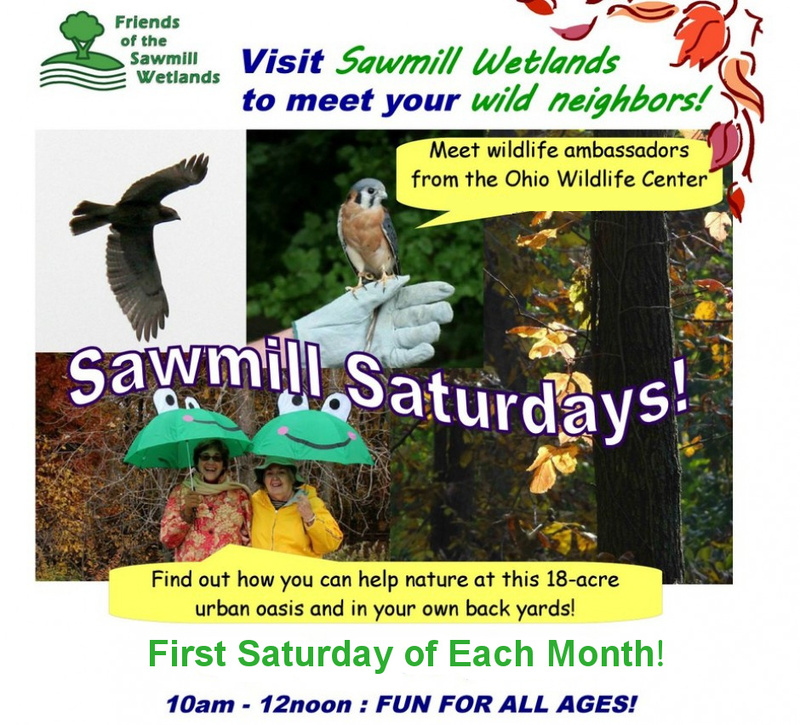 ← May 4th Sawmill Saturday! !